Your browser does not support iframes. The Dodgers paid tribute to Vin Scully with his second bobblehead last night. Did he mention it on the air? Of course not; he would say a bobblehead is a modest thing, but thine own, Dodger fans. 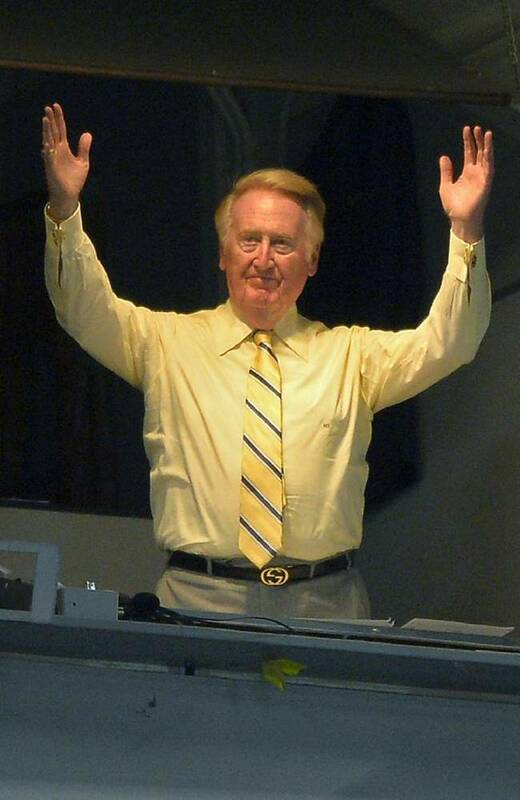 But there was an opportunity for the sellout crowd of 53,275 to recognize Vin with an extended round of applause, and he returned the love. Chills. So, they didn't do any kind of pregame ceremony like last year? Dusty, can you chime in? They did not. They did do a nice montage on the big screen pre-game (some incl what many of us have seen before but some new footage stitched together) and then another montage in the (5th...6th?) that then led to the standing ovation. I wished that they would have had Vin do the ITFDB live, either from the field or booth, and not the inners of that contest. 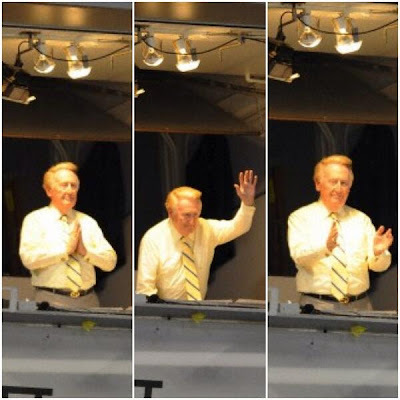 The only time I was able to actually see Vin was during the ovation when he stood and clapped to the fans; I could see his hands clapping and knew it was him there in the booth. In a way, I'm glad they didn't do another ceremony. It makes last year's a little more special. 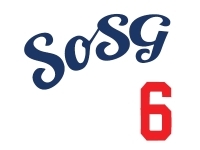 Sure do wish they could win on Vin nights, though. Lot of various Vin-related t-shirts on hand last night, even some homemade ones.